Looking for a vacation without leaving KL? Here’s a guide on how to play tourist. Sometimes the best vacation to have is actually in your own backyard. Staycations, or stay-at-home-vacations, are fast gaining traction especially when many people today take a discretionary approach to spending. And what’s there not to love about them? You don’t have to pay for an airline ticket, apply for long leave (because you can do it over a weekend), and fret over who’s taking care of the pets back home. The beginning of the year is an excellent time to plan for one. The tourist crowd is tolerable and the schools have started their term. Kuala Lumpur will be a pleasant place to explore once more. 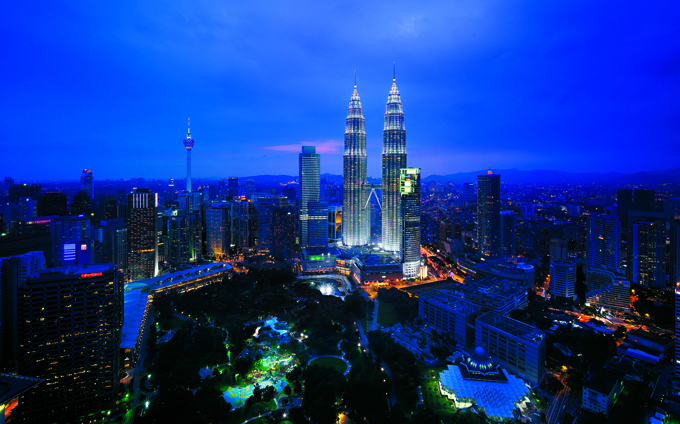 To begin, book yourself into the Grand Hyatt Kuala Lumpur. There is a reason this hotel is a perennial favourite. Located right in the heart of Kuala Lumpur, you are just minutes away from the city’s best attractions. This Green Building Certified hotel is the ultimate respite surrounded by the green space of KLCC Park. The experience begins when guests are whisked to the Sky Lobby, checking in at the highest floor for a jaw-dropping, 360-degree view of the city’s skyline and the iconic Petronas Twin Towers. You can soak in more of the views from many of the guestrooms; each boasting floor-to-ceiling windows. Splurge on the Grand Suite room and enjoy the benefits of access to the Grand Club Lounge, complimentary amenities such as “Hyatt has it” service that offers something you didn’t bring along with you, like talcum powder and yoga mat. The Nespresso machine in-room rounded up the experience nicely. For nourishment, there are three dining options, but don’t pass on THIRTY8 with lively kitchen shows and more panoramic views of downtown KL. Then, take a leisurely stroll to Suria KLCC, a mall that’s like a city with food service, cinemas, entertainment, a science museum and an art gallery. The free Petronas Gallery is often bursting with art shows and exhibition. A few doors away from it is Petrosains, The Discovery Centre that often keeps things interesting with mini exhibitions and interactive shows. The Grand Hyatt hotel is also one of the stops along the Green route of the free GOKL City Bus. Hop on, enjoy the free wifi onboard, then transfer to the Blue line for Masjid Kampong Bharu. Here, you want to register for the free guided tour of KL’s last remaining village, Kampong Bharu, founded in the late 19th century (email: pelancongan@dbkl.gov.my). The tour begins at Kelab Sultan Sulaiman, every Tuesday, Thursday and Sunday from 4.30pm to 7pm. Along the way, discover how this Malay village struggles to remain relevant in a metropolis, visit a herbal and sundry shop, marvel at 1930s traditional Malay homes with its intricate woodwork, and enjoy a feast at a typical Malay food street. You can also take the Purple Line for KL Tower to explore the last green lung of the city that is called KL Forest Eco Park. The canopy walkway is the main draw, so call ahead to check that it’s open. The trails are paved and make for a nice jog, and don’t forget to bring along a mossie spray to keep the bugs away. Finally, wind down your way back to Grand Hyatt. Cap your day with a visit to Level 56 of Menara 3 Petronas. Mere minutes from the hotel, this is the Malaysian outpost for the world’s most recognised Japanese restaurant, Nobu. Grab a drink and enjoy it at the lounge for a real close-up view of the Twin Towers. Nibble your way through the meat-filled yet dainty Nobu tacos, have the Jumbo Prawn / Sea Bass with Shiso Salsa for main, and finish it off with the simple but refreshingly clean Green Tea Shaved Ice with Red Bean Paste and Mochi. Royal Brunei Airlines flies Kuala Lumpur 2x daily. There are currently no comments on CITY EXPLORER. Perhaps you would like to add one of your own? MUHIBAH is a Malay word that means unity or harmony. The word aptly captures the essence of the magazine that provides modern travellers with reading material that is relevant, newsworthy and up-to-date. Written and presented in a breezy style, the magazine is packed with reading material that promotes world destinations while enveloping the readers with a sense of luxury with sections and articles that highlight the finer things in life. Copyright © MUHIBAH 2016 All rights reserved.